Before starting, it is necessary to get an excellent domain name and a highly respected hosting service for your website. In choosing them, you have to be very cautious as the success or failure of your site depends on these factors. 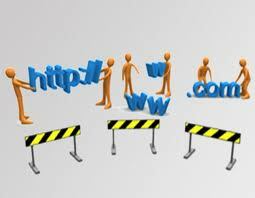 If you don’t select the best hosting and domain name you may not have the most stable or the fastest website. This can make a big difference in how well your site performs. Just in case you are unaware of what a domain name is, it is the URL used to access your website. It looks like www.yourwebsite.com and this is how others can gain access to see your website once it is live. Hosting is much like the foundation for your domain name. The company you choose to host your website with will store the files you create to give your website the look and function you want. If this hosting is not from a top company, like HostGator or BlueHost, then you are going to struggle to succeed. You may have to spend 15-20 minutes to set up the domain name and hosting service. After that everything is ready to configure for how to build a website. You may use the WordPress platform, which is a free CMS (content management system) for your site. This is the best platform for those who are not professional web designers, but want a professional looking website with very little design knowledge. Domain names should be selected according to the relevant content. It should be simple to be remember. It should be informative and short. It should get the appropriate extension (.com, .net, .org). 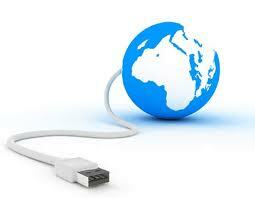 Domain names are very important for search engine optimization (SEO). For example, if you search for ‘How to Make a website’ with Google or Yahoo, the websites whose domain names that match with the searched keywords best, will appear higher in the search results. In addition, searchers are more likely to click on a matching domain name than one that does not match as well. Now for registering a domain name you can select any domain registrar, but we recommend using www.Godaddy.com . With GoDaddy you can easily search domain names and see whether one is available for purchase or not. On the first page of GoDaddy you will find a search box for typing your desired domain name. Enter the name, and then click “GO”. It will show you whether your domain name is available or not and you will also be provided with a list of suggestion for domains available for sale. If your domain name is available, then checking the box and click on “continue”. They will ask if you want to buy the domain name with other extensions, at this point. You can either choose to add the others to your cart or just click “no”. Then, you will have to fill out the registration form, select the payment method, and year(s) of registration. It can be easily renewed, so if you want, you can choose just one year of registration. They may also request you to purchase hosting from them, but it’s better to go with hosting from HostGator or BlueHost. After completing the registration, you will be provided with a receipt containing all the information you need. After about 24 hours, your domain name will be ready for you. I. Go to www.HostGator.com and select one of the shared hosting options. II. Select whether you want to pay monthly or yearly. III. Enter your domain name and move onto the next screen. IV. Fill out the billing information and your hosting will be activated within an hour. Keep the email sent to you, with your log in information, in a safe place. II. Select the domain tab and go to –my account, and then domain management. III. Clicking on your domain name will take you to the page where you can configure everything. IV. Click on Set Nameservers. V. Select ‘I have specific name servers for my domains’ and fill out name server 1 and 2 according to the information given when registering with your hosting and click ok. It will take a couple hours to go into effect. II. Log in using the HostGator information. III. Go down to the page and you will find service/software option and click on Fantastico De Luxe. IV. In the left side bar you will find the WordPress link. V. Choose “new installation” and go ahead. Click finish when Installation completes. Now your WordPress theme will be able to be customized. After getting access to your site just log in to the dashboard. Within your dashboard you can make all the necessary changes to your website. Take the time to learn about all of the following WordPress options. If you take the time to learn all about using WordPress you can design your site in a very professional way. This will give you a great design along with the function you want without spending all the money for a professional design. Now, you just need to take action, get a domain name, find a good hosting company, and discover all the benefits of how to make a website. This entry was posted on Thursday, December 22nd, 2011 at 11:49 pm	and is filed under Website Basics. You can follow any responses to this entry through the RSS 2.0 feed. Responses are currently closed, but you can trackback from your own site.